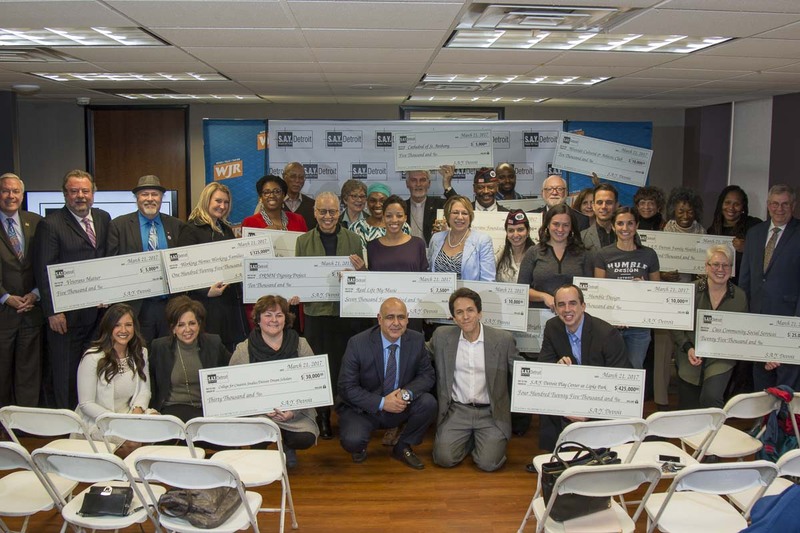 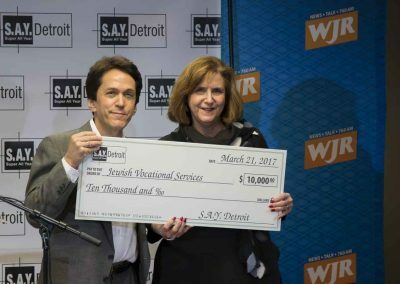 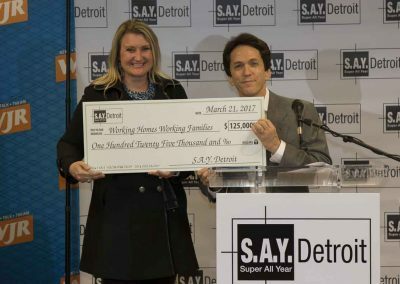 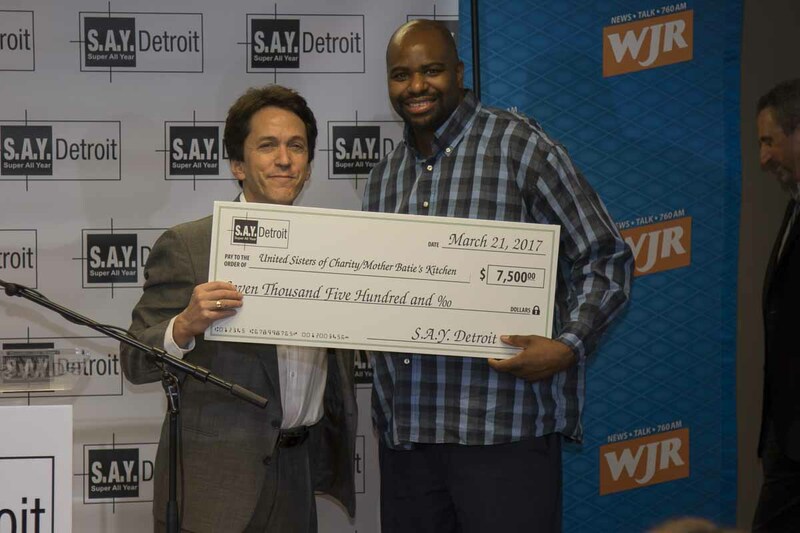 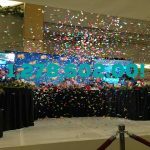 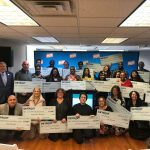 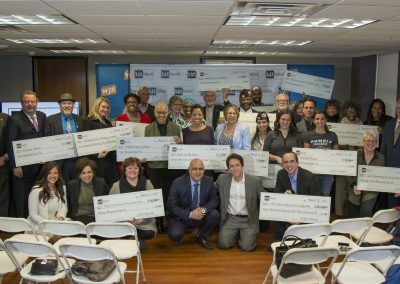 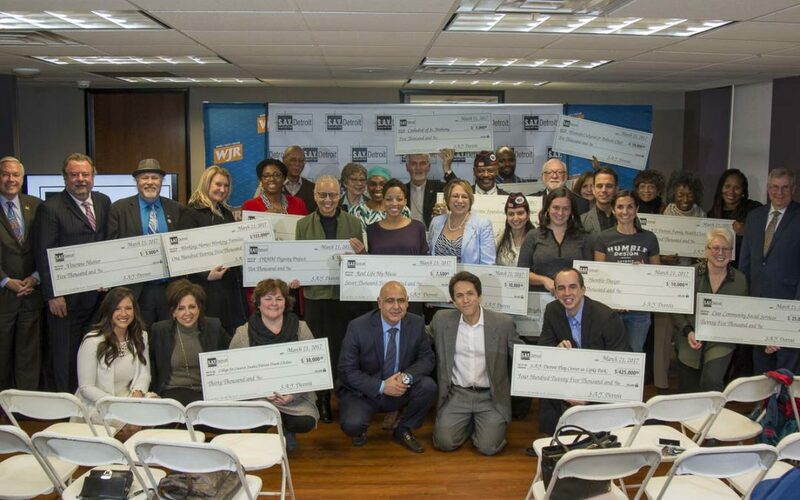 Representatives from 20 area charities accepted checks totaling more than $1 million on Tuesday from donations raised at Mitch Albom’s fifth annual S.A.Y. Detroit Radiothon last December. The ceremony at the Fisher Building included several first-time beneficiaries, including the Bing Youth Institute — a mentoring program for urban youth created by former Detroit Mayor and NBA legend Dave Bing. 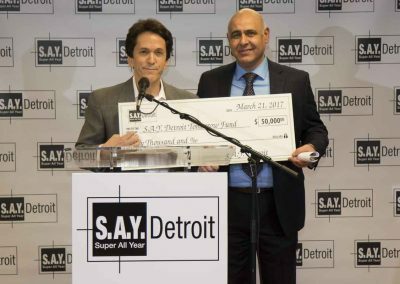 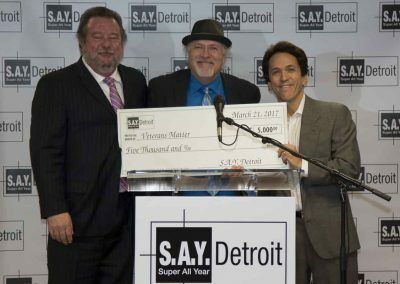 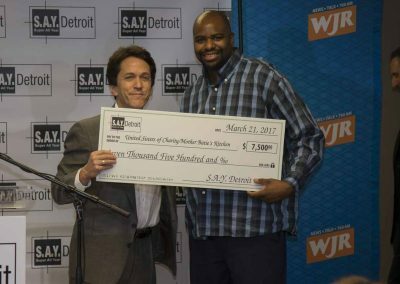 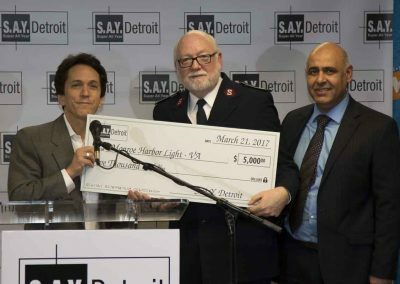 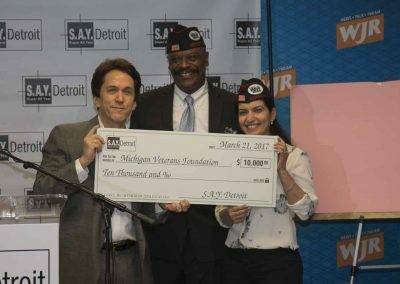 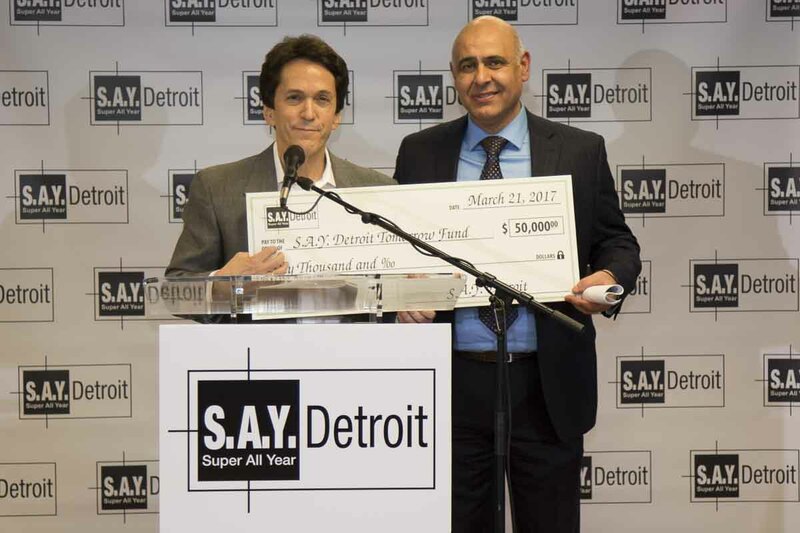 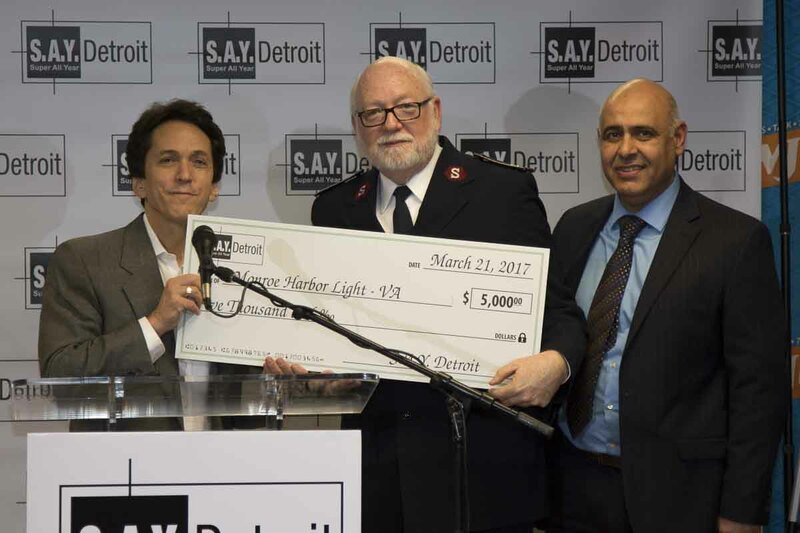 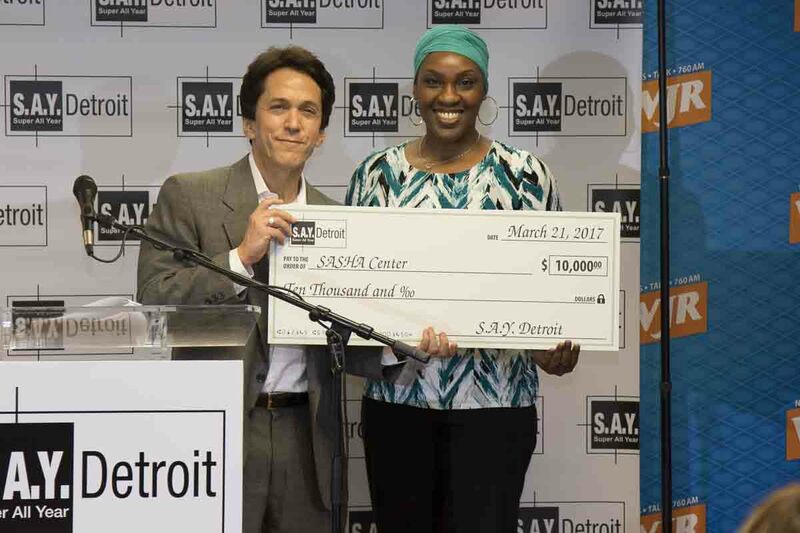 Albom, who founded S.A.Y. Detroit in 2006, presented the checks to the benefiting charities with Dr. Chad Audi, president of the Detroit Rescue Mission Ministries, along with representatives of several major donor organizations. 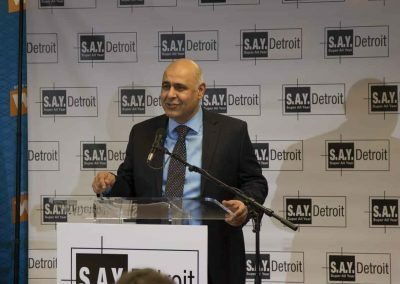 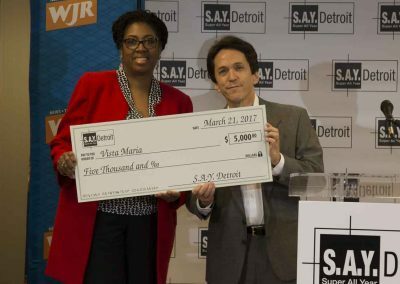 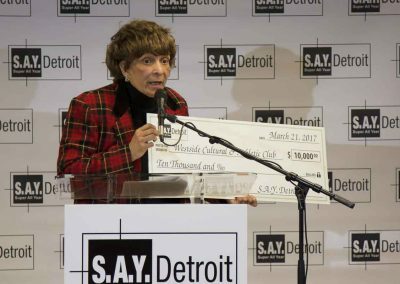 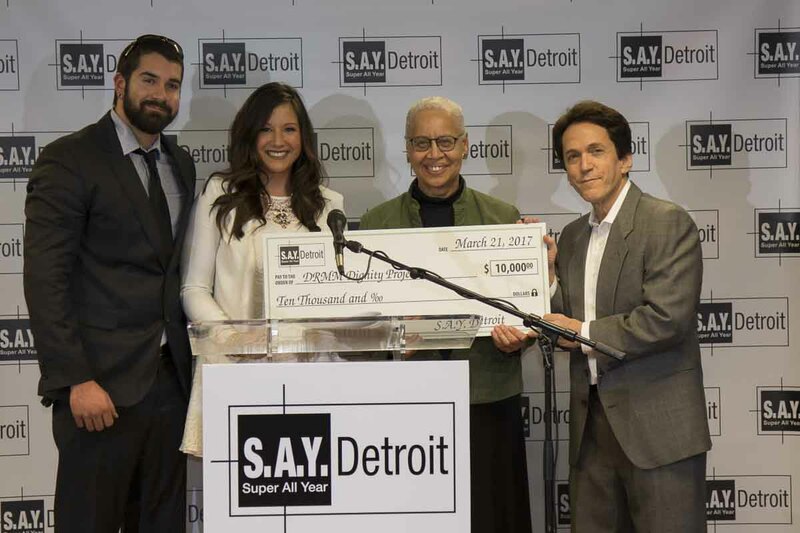 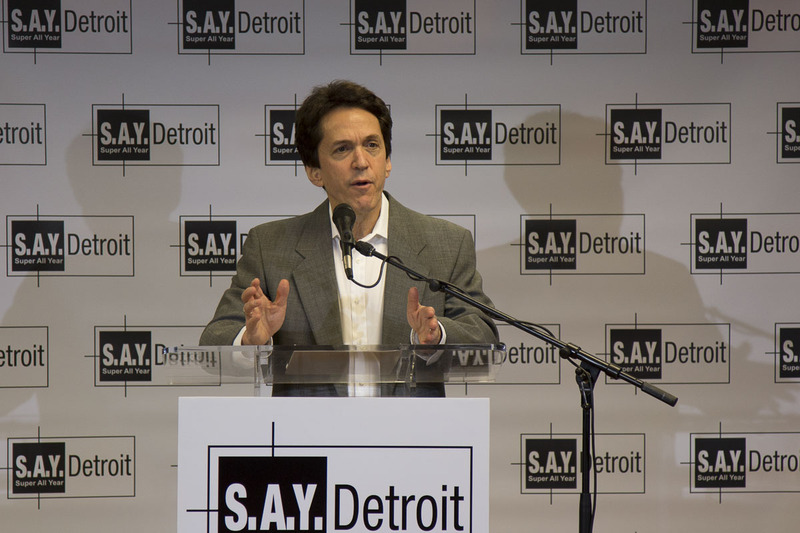 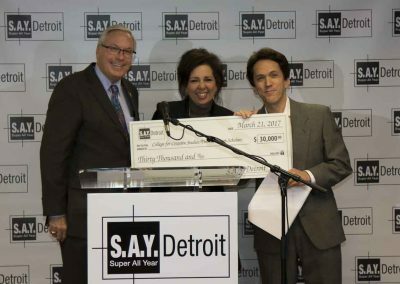 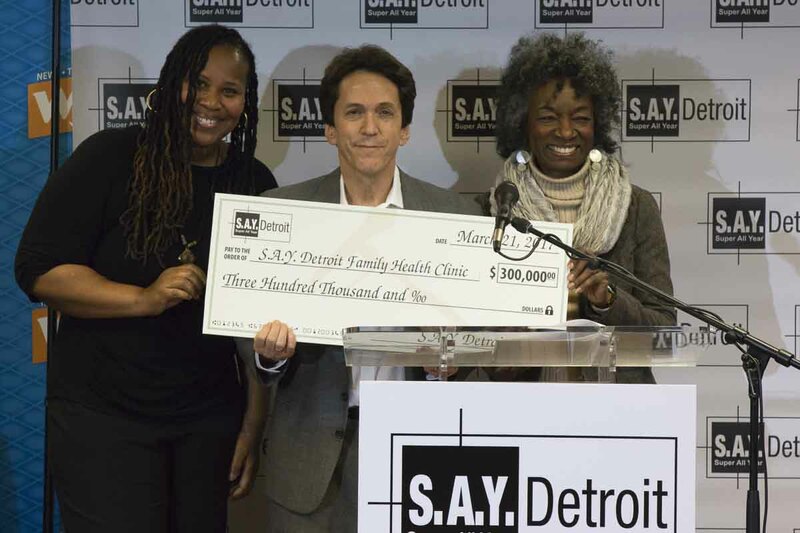 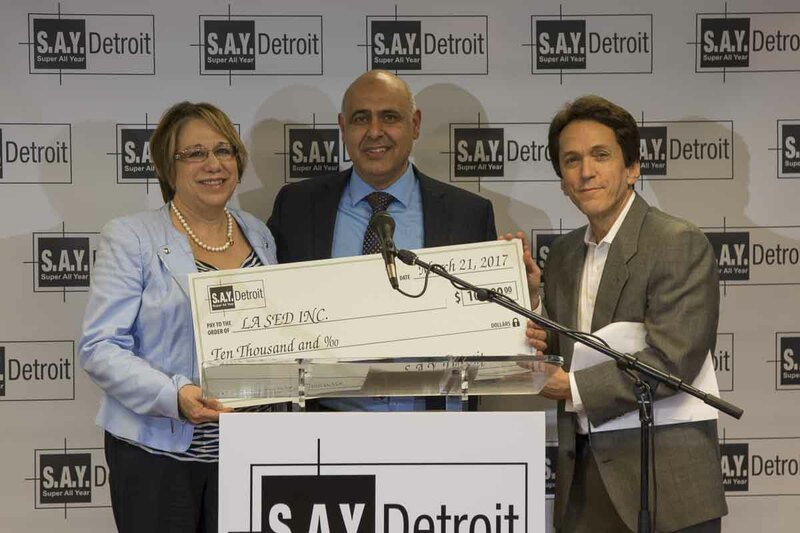 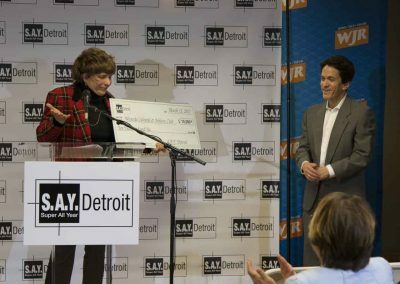 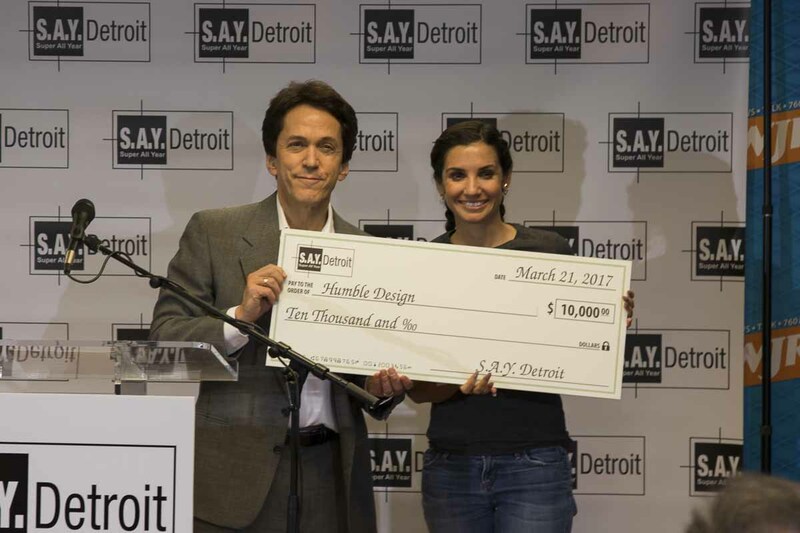 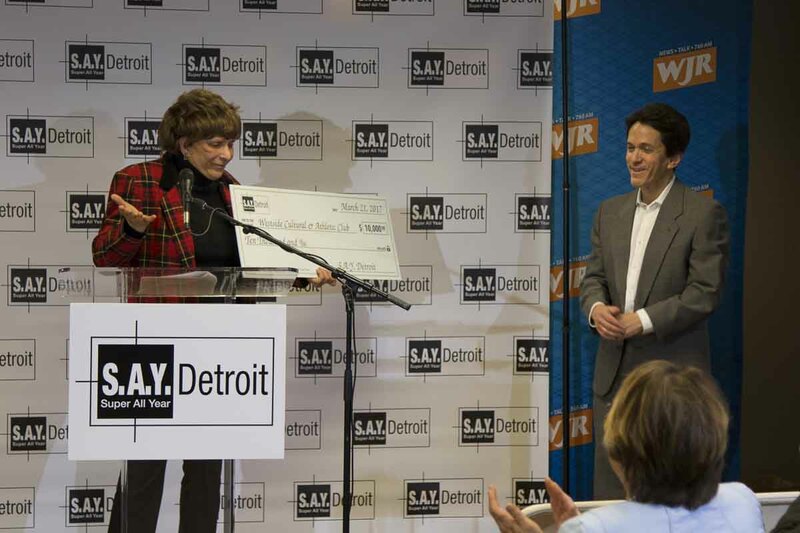 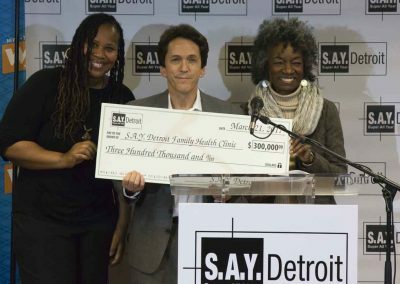 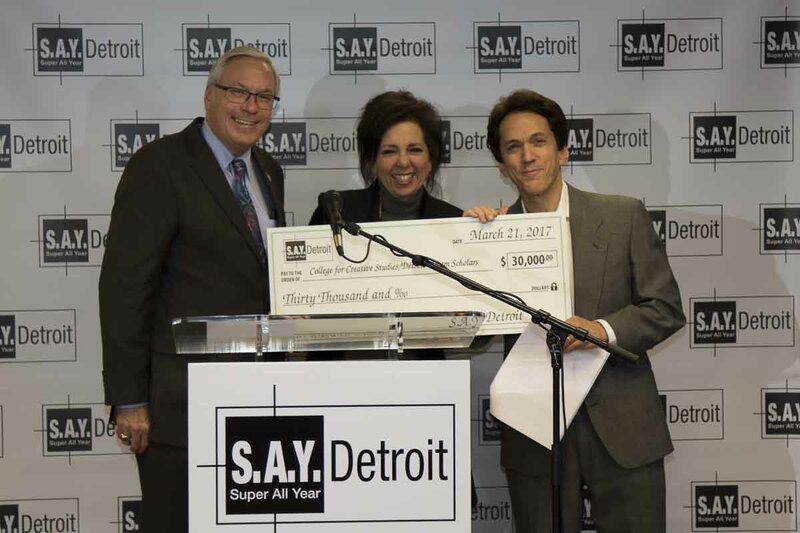 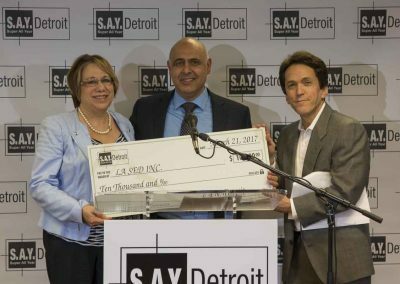 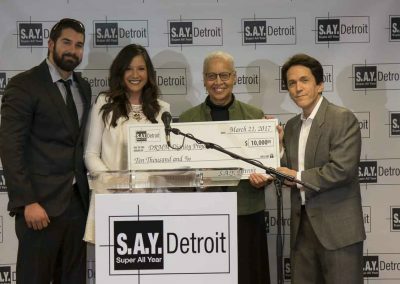 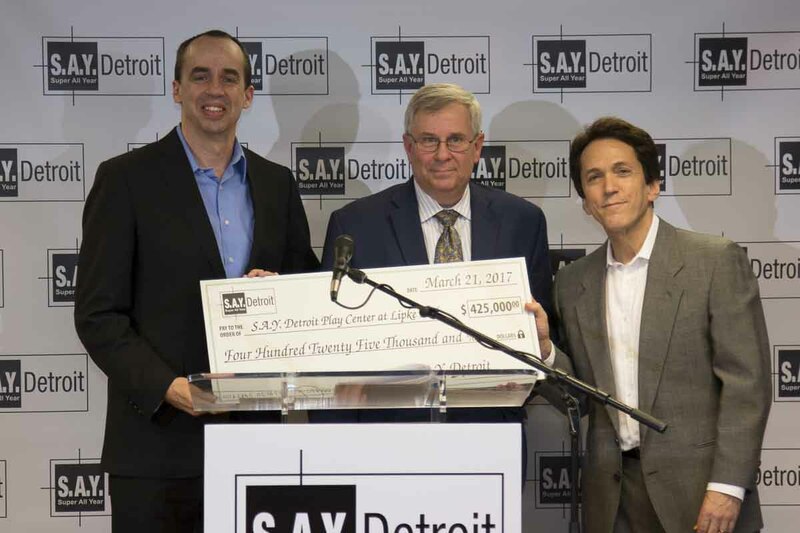 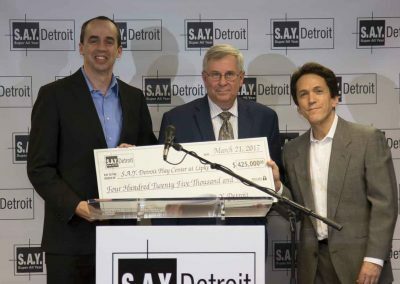 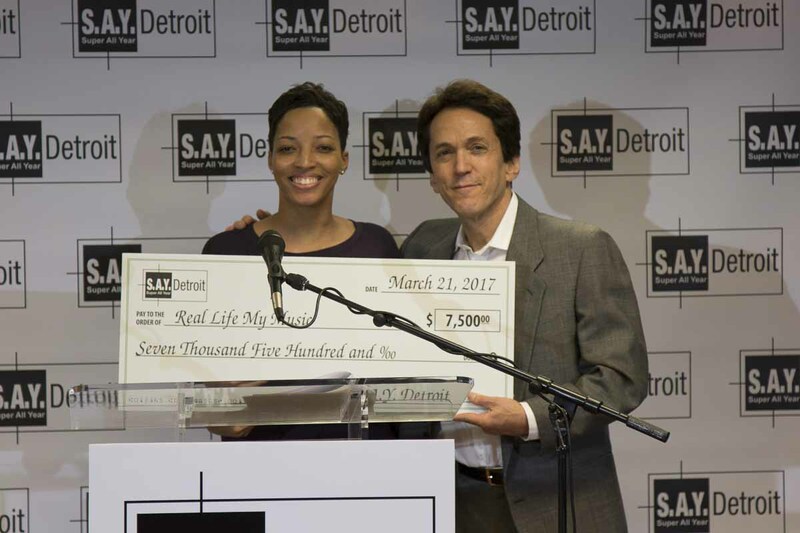 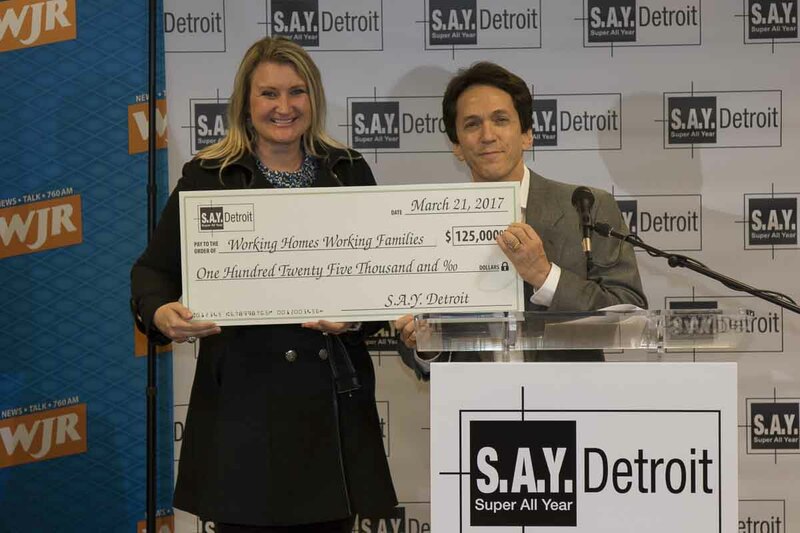 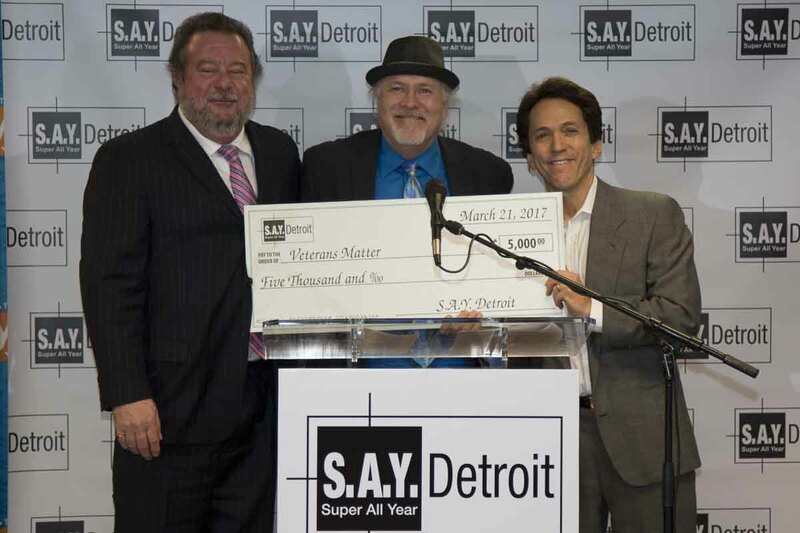 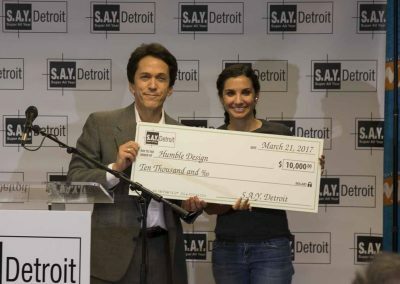 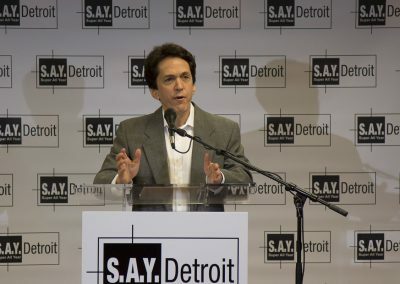 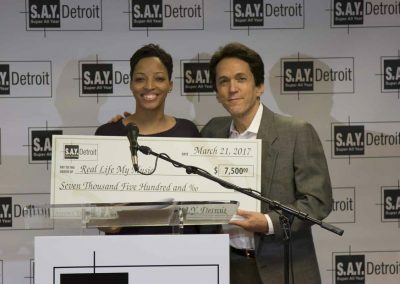 Albom on Tuesday also announced the creation of the S.A.Y. Detroit Tomorrow Fund, an endowment fund established to help preserve S.A.Y. Detroit’s legacy and be a catalyst for new growth. 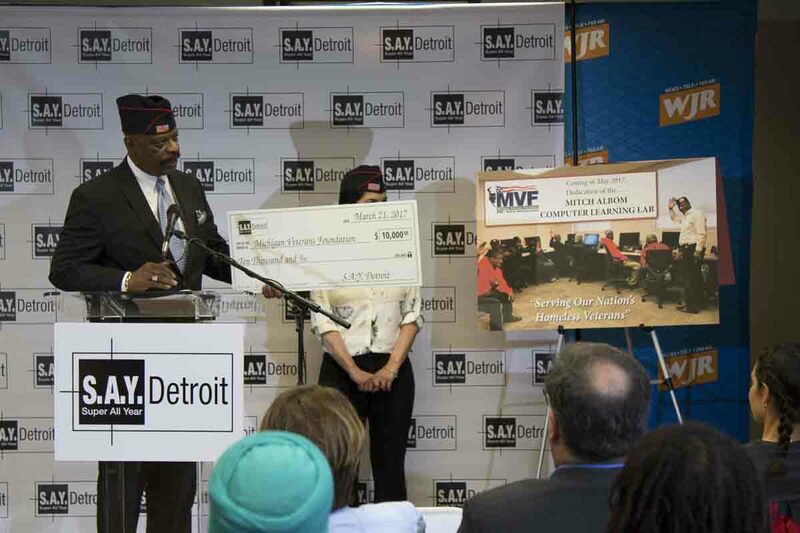 The fund was launched with a $50,000 donation. 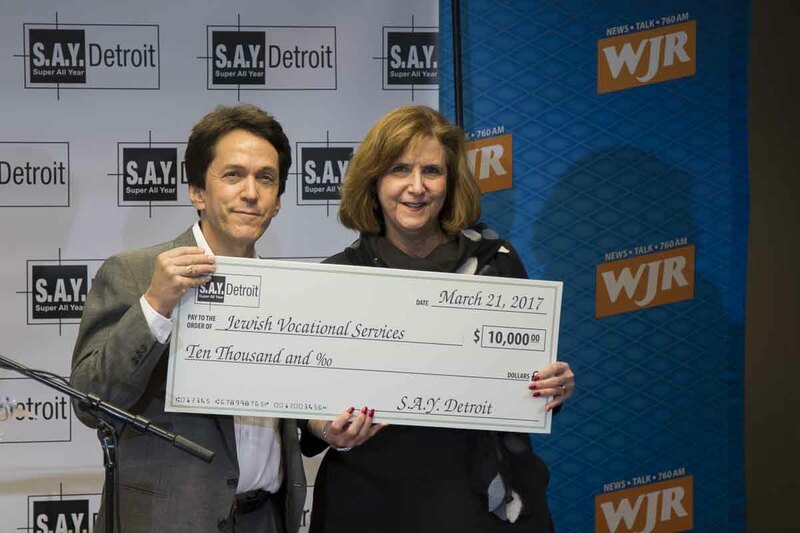 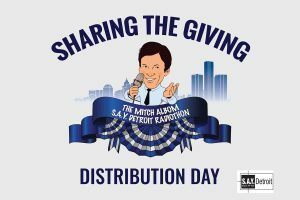 Broadcast live over 15 hours on WJR (760AM), the sixth annual Mitch Albom S.A.Y. Detroit Radiothon will be held Dec. 7 at the Somerset Collection in Troy.